If I had done yoga as a teen all my issues would have been sorted, right? What I do know is that it would have given me the tools to cope better with the pressures. For me it was over-thinking things, revisiting past ‘failures’ and daydreaming of the future when all would be perfect. And I was actually a pretty happy teenager! Now it’s easy to see why adolescence, which stretches up to aged 24, is such an emotional rollercoaster. This I know from personal experience but also from my training – and experiences – in teaching yoga to teens. Right, brace yourself – some brain science coming up … (Time-pressed? Scroll down to ‘Benefits of doing yoga as a teen’). There is a reason why as a teen emotions seem to play such a leading role in your life. And that same reason is why as a parent your adolescent can seem impulsive and even reckless at times. This almond-shaped part of the brain is its emotional centre. It is the place that triggers the ‘fight or flight’ response to events. This part dominates how information is processed in the teen years over its wiser sister, the prefrontal cortex (PFC). The PFC (the bit behind the forehead) is the reasoning part that filters information coming from the amygdala and makes a rational response. Amygdala: triggers you to fly into a rage and storm off and sulk. This is the fast reaction route. PFC: filters the information from the amygdala and makes a measured response based on experience. Slow route. The PFC doesn’t fully develop until after adolescence (remember it lasts up to our mid 20s). That’s a long wait, hey? Ah, but this – and many other reasons – is why we have yoga for teens. Yoga can help develop the (neural) connections between these two parts of the brain, improving focus and decision-making. How? Through a process called myelination (the fat sheathing of the neurons) which helps the flow and speed of information in the brain. Learning activities like yoga help to create new – and positive – pathways in the brain. And what you do in adolescence and just before can become ‘hard-wired’ into the brain as it prunes unused circuits and strengthens those it uses. Think how people can become fluent in a foreign language or musical instrument when they learn it before and during adolescence. Dan Siegel, a leading psychiatrist and author looking at teen brains, believes yoga is beneficial in creating new brain pathways. He says this is because yoga requires focus. The brain is especially flexible at this age too. So, what are the brain or mind benefits of doing yoga as a teen? Yoga teaches us how to be in the present moment without judgement. For example, by being aware of your feet in a pose or watching your thoughts without getting caught up in them. This helps with the brain integration discussed above. An obvious but a crucial one. I offer many tips for teenage anxiety in my classes. These include extending the out-breath to stay calm (the exhale stimulates the calming side of the nervous system). And guess what? This also helps the brain’s flow of information (as above). You have mastered focusing your mind on learning a tricky posture or anchoring your attention to the body or breath. Then these skills can help your concentration off the yoga mat. You can use this in many scenarios including schoolwork and free up time for stuff you enjoy (but some enjoy assignments, apparently!). The body also goes through so many changes in adolescence. Yoga helps to bring a sense of self acceptance. It helps us develop our proprioception skills. This means knowing where the body is in space (eg. how we can walk in the dark). Proprioception helps us to trust our body and be confident in our skin. Yoga improves flexibility and you can have fun along the way. I probably would have been a bit sniffy about partner yoga as a teen but many I teach love it. It develops trust too. Also, learning to laugh at yourself falling out of a posture is a great skill for life, I think! Yoga helped me to find myself and meet like-minded people. 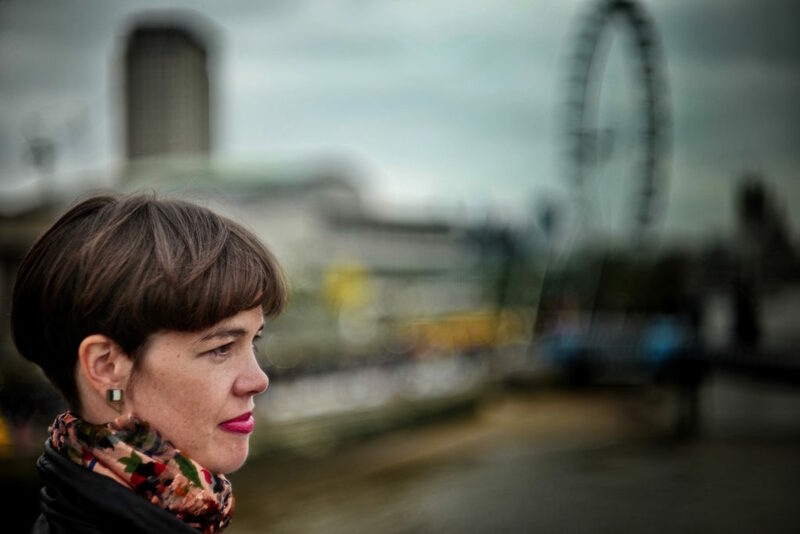 After I was ill with autoimmune encephalitis, a lot people would close the doors to me from opportunities because they were scared of what would happen. I went into the yoga world and people welcomed me with open arms. They taught me how to appreciate myself and others … The biggest lesson yoga has taught me is to be present in the moment. Thanks to the Teen Yoga Foundation for the top image and Rebecca for the others. 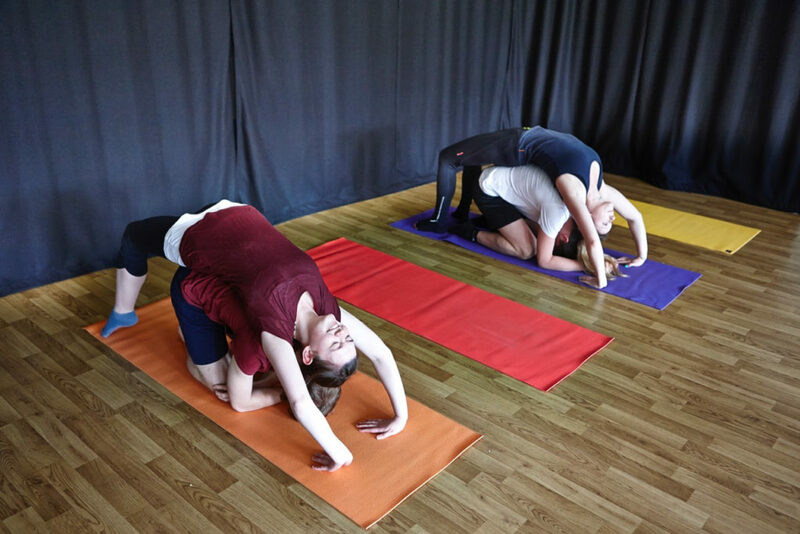 Learn about the charity’s ongoing research into the benefits of yoga to teens. 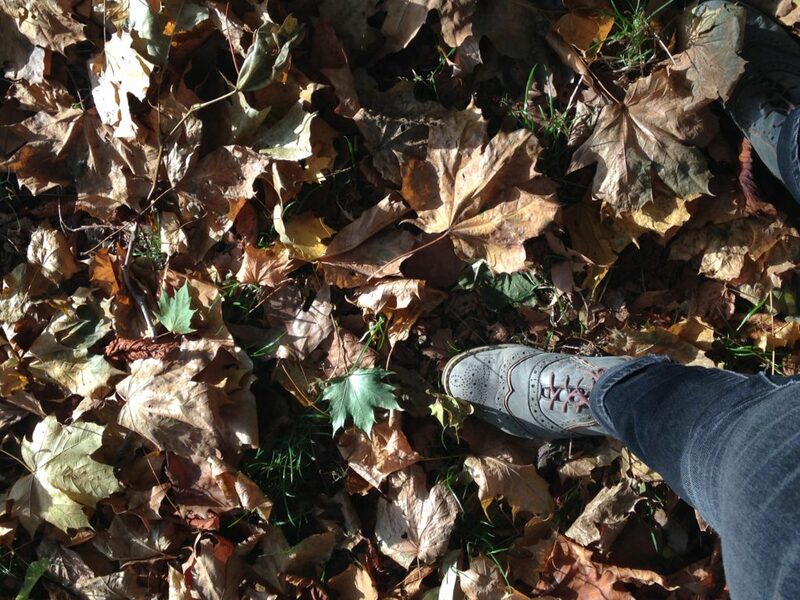 It’s not very British to write an end of year reflection, especially on going with the flow. The last time I did something similar a friend from the US said I sounded very American. I think she meant positive – beyond all British possibilities. Haha! But I still have that healthy dose of scepticism – it’s kind of essential for the journalist job. I also just deleted an exclamation mark which is a definite sign of Brit norm. What I have succeeded most at this year is going with the flow. I know as a yoga teacher you probably should be going with the flow all the time. All while eating raw food and hugging trees, to use a few more cliches. My issue has been that I focus too much on how something turns out, daydreaming of how it will be perfect in the future. But the past year I feel I’ve made big shifts in my life by going with the flow and being more carefree. Stuff I dreamed of actually happened because I stopped holding on to those expectations. This ‘method’ is based on traditional yoga techniques, which I teach in my classes. For me it’s very much a work in progress, as ever. Being aware – watch your thoughts about how you’re not doing well enough at this or that. Notice feelings or expectations that arise and let them go. Observing thoughts and feelings as a witness – not getting involved with them – takes the heat or sting out of them. This is something I teach in my teen yoga classes. 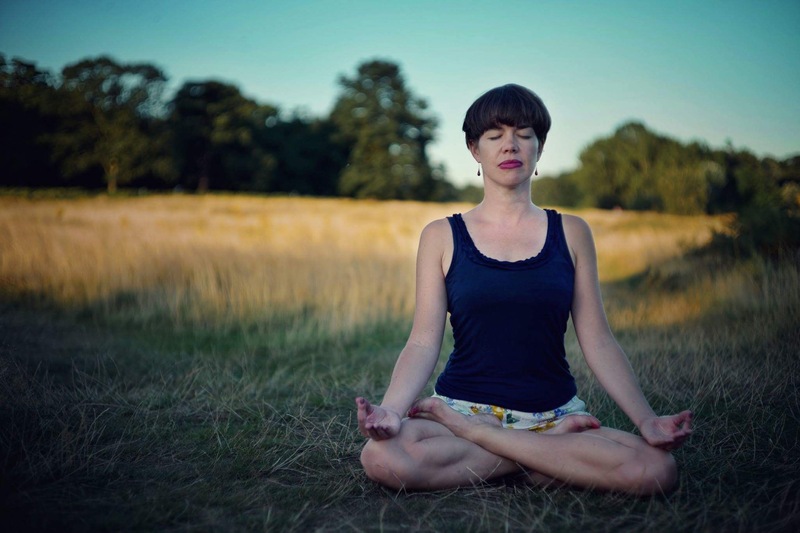 Being mindful – practise mindfulness of breath. This releases habitual ways of thinking and keeps you rooted in the present instead of craving certain outcomes. The breath reflects what is going on in the mind and body, so when the breath calms so do you as a whole. I can honestly say that this technique is mind-changing (in a good way!). Find out more about the courses I and other Traditional Yoga teachers offer. Sending metta (loving kindness) – a lot of our expectations are based on our comparison with others, peers or even strangers on social media. Practice a meditation in which you send loving kindness to yourself, then a loved-one, a neutral person (someone you see on the street but don’t know) and a person who have a difficulty with. Then widen this out to the world. Research shows this has positive results. These are just three simple techniques. There are many more. The main thing is being more relaxed about what happens. This may come very easy to some but to others (me!) it’s hard. This practice has truly led to great things happening in my life. Work opportunities, connections, relationships and generally being a lot more free in my mind. Life flows when you’re not het up on the result. Yes, bad stuff happens but you’re more able to deal with it. I am an optimistic American now? I don’t care. 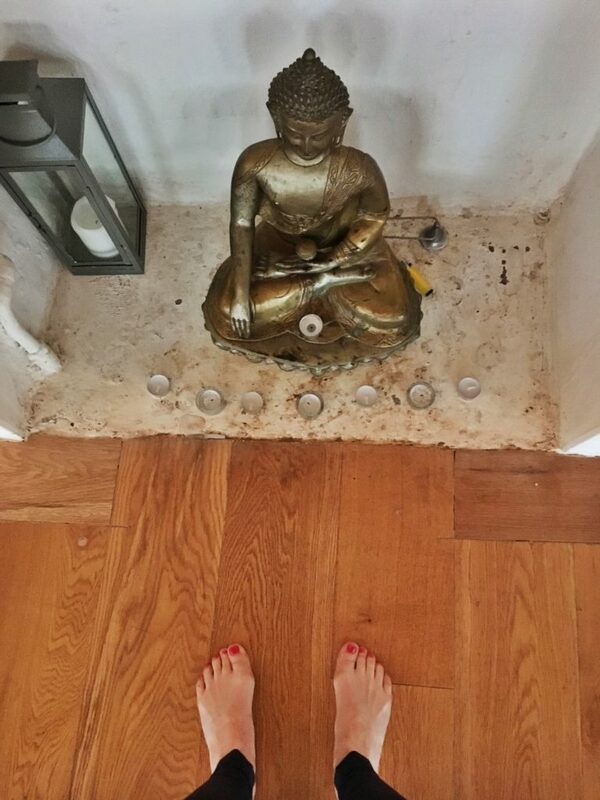 What does your yoga practice look like? Bathed in sunlight, sat on the mat in your best gear, all peace and light? My yoga practice can actually be more like this experience. Recently, I was sat on my mat meditating when a strange mixture of drilling and whistling began next door. Bear with me, there’s an important yoga message here – honestly! I breathed through it for a while, and it worked … Then, the drilling took over the whistling. My practice continued, witnessing the inhale and exhale. I noticed my feelings come and go – the heat of annoyance rise and then fall away. ‘Brilliant’, a thought popped up, ‘I’m so calm amidst the frenzy of DIY’. ‘Nee-nah, nee-nah!’ The sound of the police. The sirens got closer and then faded. My practice continued … then the doorbell rang. The thing is there are always distractions. They may be external such as neighbours doing early morning home renovations. Or internal like the ‘monkey mind’ jumping from thought to thought – even if it is, ironically, about your yoga practice. I’m not saying you should torture yourself with noise to make yourself more mindful. That would just be cruel, and not practising one of the yoga principles, ‘ahimsa’ or non-violence. What I am saying is that the yoga practice (‘yoga’ includes meditation) I do when there are distractions is often my best work. This is because anchoring yourself to the breath grounds and calms you. It stops you from getting your freak on. To start with, simply watch the natural breath come and go in or around the nostrils. Or you can silently say ‘so’ on the (uncontrolled) in-breath and ‘hum’ on the out-breath. In the longer-term, these mindful meditation practices will work on the deeper stuff. This means you can change how you react to events. You might not even notice you’re doing it at first. Being more patient – not wanting everything to happen now or getting frustrated when transport is delayed or someone has just cut me up on my bicycle. Now I sternly shake my head and say ‘unbelievable’ (they quake!) instead of ‘for eeffs sake…’ Ha! Being present – not ruminating about past events or fearing future ‘failures’. This is a massive success for me because I used to think way too much. The more you train the mind to be in the present, the less it slips into its habit of beating itself up. Being cool – I don’t mean cool trendy. Teaching yoga to teenagers, I would never even pretend. I mean accepting things as they are right now, even if they’re actually a bit crap. I just had one of those days. I’m tired and so that’s what I’ve put my mood down to (self awareness comes with this practice too). So, remember, the best yoga practice you do is often when it’s a bit imperfect. A bit like DIY. Find out more about the meditation I teach as a Traditional Yoga teacher. Or find a course in your area. The yoga postures we most dislike are actually the best for us. Really? Is this just another thing that teachers say, along with flowering your buttocks (no, I don’t say this!)? I couldn’t bear this posture called crow, crane or bakasana – or more can’t-be-asana. I still spent years trying to ‘perfect’ the posture, which is the Instagram image of yogis everywhere. But I learnt a lot more along the way than simply to improve my upper body strength. What I learnt is true yoga. But at the time I didn’t know it. Be challenged but don’t compete – Yoga isn’t a competition. Take your focus off the person on the next mat. Your body is different to theirs. Losing the ego also helps you to get into those yoga postures because you’re more relaxed. Be kind to yourself – It’s only yoga! The way you approach yoga postures can say a lot about your mind. Why must you be able to do a handstand right now? Will getting frustrated and cross with yourself help? Be patient – Yoga students would traditionally practice under a master for years but now we want everything to happen in an instant – or a yoga class. Give it time and practice the prep yoga postures. If it doesn’t happen – well, who cares? Maybe you had fun trying? Recently, I’ve been unable to lift up into the crow posture for some reason. But now I now laugh as I fall out of it. This definitely makes it one of the best yoga postures for me. 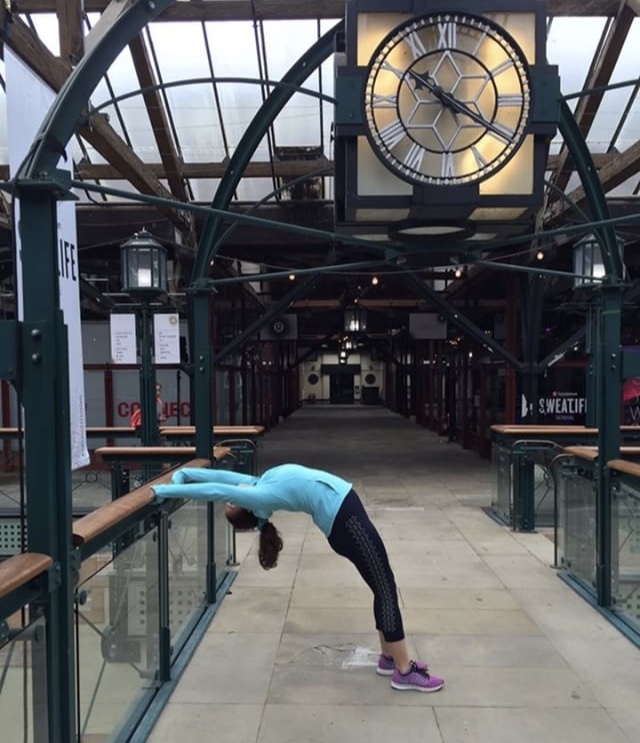 What is yoga posture that you dislike the most? Arm balances in general are my nemesis. Back to work blues? Greeted by a mass of emails and retreating to the kitchen/toilet/cafe at every opportunity? Emails can be a poke in the face at work – yet another thing to do, someone complaining or a ‘who stole my yoghurt? !’ call-out. But there is a way to keep some cheer in your inbox. Quite a few years ago, I started keeping a ‘thanks’ folder. I put all emails with any compliments (about work, not my hair – but whatever works for you!) into a folder in my inbox. Then whenever I was having a stressful time, I’d take a look in there and get an instant uplift. Ok, you’re still going to have to deal with those troubling emails but it keeps things in perspective. Oh, and these emails will come in useful come appraisal time. Now I ‘appraise’ myself as a freelancer (ha!) but I still have a thanks folder. 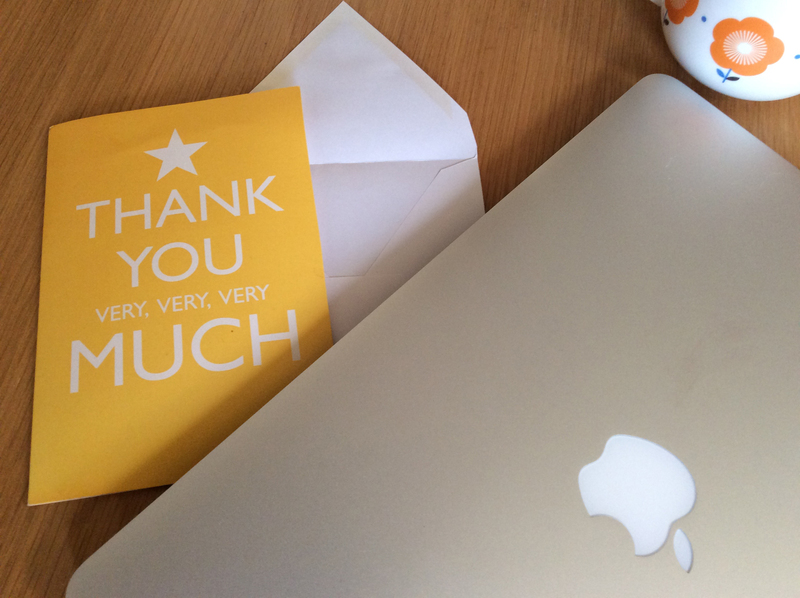 A great start to the first week of the year – and an addition to the thanks folder, of course! This is what a wise and hilariously frank friend said to me on New Year’s Eve. She’s not wrong. Well, not entirely … 🙂 I don’t do new year resolutions but I do intentions. ‘What’s the difference?’ My friend asked. I see intentions as positive long-term plans, or a journey towards something. I see resolutions as negative short-term, punitive plans – banning something and then chastising yourself for ‘failing’. To be honest, on New Year’s Eve I was feeling a bit down for various (crazy – yes!) reasons. So, I decided to write down all the good things that happened to me in 2016 – and I got to 18! It really was a great year overall as I went travelling, left my job and started working as a freelance writer and yoga teacher. But still you can dwell on the negatives and the unknowns, those nagging uncertainties. I like to plan so, with the help of a New Year’s Day yoga workshop, I’m writing a few intentions (or Sankalpas as they’re known in yoga/Sanskrit). These are plans for the year, such as making contacts for work and building new connections, friendships or relationships. 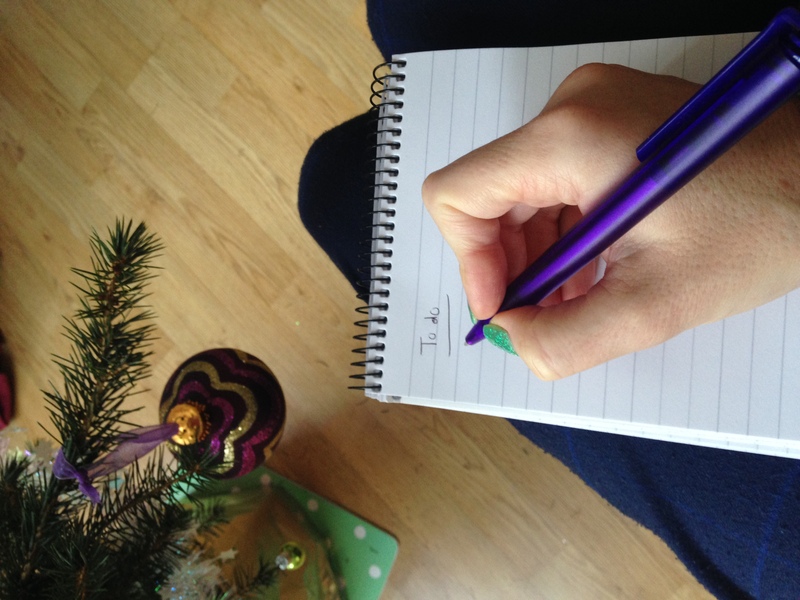 1) Write down the good things that happened to you in the past year – it can be a good holiday, a small success at work, a new friend made, a great new coffee haunt. Two of mine included listing my top times with friends and family. 2) Set some small intentions – little things that are achievable, perhaps not winning the lottery or taking on the US presidency (though anything is up for grabs these days!). Some of mine are around networking for new work opportunities and working on social media promotion. 3) Do a regular condition check – see how things are going in a month or two, and then in 6 months. Refine plans if needed. This doesn’t mean you’ve failed but perhaps a new approach is needed. I found this with some yoga work last year and so joined organisations to gain support, which led to new work. 4) Keep the faith, release the fear – this is probably the most important one for me. Whatever obstacles come along, keep believing in yourself and going, small step by small step. 5) Have fun – this goes back to the resolution issue. If you’re not enjoying yourself, you’re probably not going to keep it up. Make sure whatever you’re doing, you believe in it (the process and the result). And remember your best support is from those who you already know. Those funny friends who keep you laughing and support you to the hilt. They have the best intentions at heart – and sometimes some good advice! Just a few sleeps till Christmas … though I feel like I’m not getting much shut-eye at all. I can’t say it’s the excitement of festivities (freelancers have few/no parties – boohoo), or worry that I’ve forgotten something (pretty sorted on gifts/travel plans). But it is a mixture of these butterfly belly feelings. My mind is excitedly buzzing with creative ideas or to-do-lists, to the point where I start writing emails, blogs, social posts in my head in the middle of night. Not good! Or … I am in a state of anxiety, fearing financial and career Armageddon that will only be eased by doing complex sums (any for me) at 3am. This is the kind of fear you only get in the dead of night. But this time of year, in particular, does tend to invoke a ‘monkey mind’ as our thoughts jump about from one task to another that must be done before the holidays. Or for some it can be the dread of Christmas. + Breathe – always a good idea. I mean focus your attention on the breath either at the nostrils or within the body as a whole. Sometimes, I go to sleep with my hands on my belly, feeling the breath there. + Release tension in the face – This is within a yoga nidra but I sometimes do this separately as it works for me. Basically, with the eyes softly closed, remove any expression from your face, slightly part the lips and breathe. + Duvet/pillow between the legs – if you’re really uncomfortable, then lying on your side with the knees tucked into the chest (foetal position) can help. Tuck the duvet or a pillow between the thighs to stack the hips which helps to relax you. + Pillow/blanket rolled up under knees – lie on your back and place a pillow/blanket under the knees. This is good for lower back problems and allows the legs to release and relax. If these don’t work, maybe just count your breath or how many sleeps till Christmas – if that’s not too much for you. Or sign up for a meditation course to boost your middle-of-the-night mindfulness. I’ll be running some more courses soon. Once upon a time I won a prize from my local running club. A winner’s medal for a time-trial? An award for a personal best in a half-marathon? No – a copy of Little Miss Chatterbox for, erm, conversing. I like to chat, and don’t people know it. 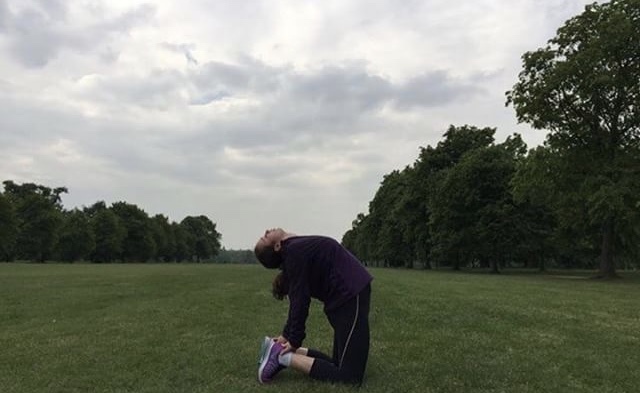 So, pursuing a career as a freelance health journalist (and yoga teacher) – with no workmates – has presented a number of challenges. 1) Get out of here – Always, always go out during the day. However, busy you are, even a short jaunt to Sainsbury’s will brighten your day (the medical tips I get from checkout staff are always cheering!). Fortunately, teaching enforces going out but it can be easy to stay in all day beforehand. 2) Social media is no substitute for real fleshy friends – These days we’re so connected online, yet often so disconnected. As supportive as 6music is, arrange at least one mid-week meet-up with a friend in the flesh. 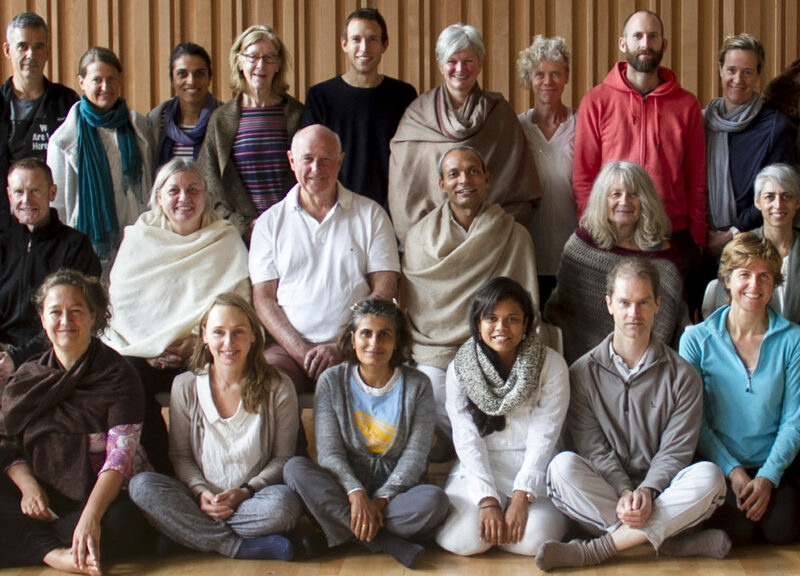 It’s not really the done thing to moan to your meditation group, when you’re teaching it. 3) Talk, don’t type – It’s so easy to do almost everything on email these days. Pick up the phone instead. Like face-to-face, it does forge better connections. I’m fortunate that interviews tend to be done over the phone (sometimes even in person). I also call clients when I could have typed. 4) Wear proper clothes – I’m proud to say I’ve yet to work in my pyjamas and I always sit at a proper desk. It just puts you in the right frame of mind: ‘Now, I’m working, not watching Netflix’. Similarly, make sure you’ve got plenty of healthy food in. Lunch is often grabbed (last night’s leftovers), especially when juggling commitments, rather than living the freelance coffee shop dream. But I do pride myself on knowing the best baristas in north-east London (for sunny days and take-outs, of course). 5) Connect/network with other homeworkers/start-ups – There are loads of groups on Facebook aimed at supporting people running their own business or working freelance. They tend to encourage meet-ups IRL (in real life) too, and not just for the extroverts. Also, network at every opportunity as it brings in more work but also eases isolation. There is also the possibility of cake, prosecco or even a celeb endorser – and sometimes all three, for free! So, as tempting as it is to stay indoors as winter arrives, get out as much as possible. You might just meet someone running around the park and strike up a conversation. No prizes for guessing it has happened to Little Miss Chatterbox. Do you want to remove negative thought patterns and be calm, mindful and able to stay in the present? You’re not alone. It sounds pretty ideal, hey? The meditation technique Prana Samyama, which involves focusing on the natural breath, offers all of this. Our natural breath reflects our emotional, mental and physical state at any given moment. For example, have you ever noticed how your breath becomes short and fast when anxious? The breath is connected to the body and to the conscious and unconscious minds. The unconscious mind is where the ego, our reactions/habits reside. By observing the uncontrolled breath at the entrance of the nostrils, you can learn to live in the present moment and experience a state of harmony. This method was taught by Buddha, and in the present time by yoga and meditation master Dr ALV Kumar in India. It also has the potential to remove stored stress or negative thought patterns. This happens by the conscious mind neutrally observing the fluctuations in the unconscious mind. These reactions are reflected in the breath. Doing this in a state of calm, objective awareness results in profound and permanent long-term changes. 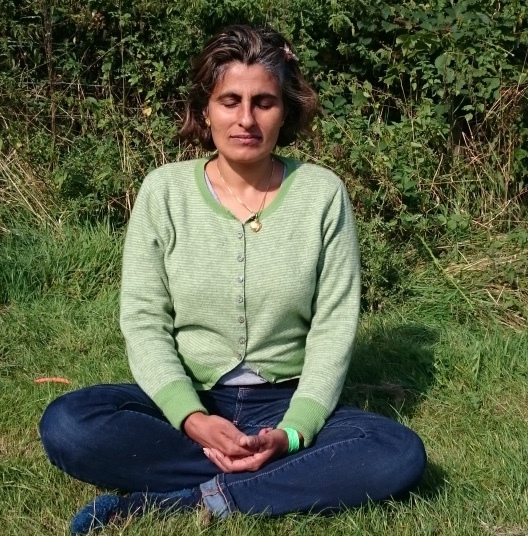 Neeta Madahar is a senior meditation teacher with Traditional Yoga, a voluntary organisation which trains teachers and runs courses to teach this technique. Here she explains its impact. Why should people practise Prana Samyama? There are lots of meditations available which work with the conscious mind, giving people the ability to develop concentration, reduce stress and become more relaxed. This technique does all of these things. But it goes further by working with the unconscious mind, as well as the conscious mind. Prana Samyama meditation also does not condition the mind to become attracted and therefore attached to a meditation object, like a mantra. With its focus on awareness of the natural breath, there is no liking or disliking created. There is only a choiceless awareness of the present changing reality, as manifested by each unique breath. This objective meditation strengthens the conscious mind at the same time as deconditioning the unconscious mind. How did you discover this technique? I have been meditating on mantras from a young age thanks to my mother and religious upbringing as a Hindu. Although I found that I was getting the relaxation, problem-solving and concentration benefits of these devotional meditations, my negative habits and thought patterns weren’t changing. In 2009, I met Anna Bhushan, an illustrator and senior teacher and volunteer with Traditional Yoga, at an art exhibition in London where we were both exhibiting. Anna and I felt an immediate connection. Two years later, we met up again, talking more deeply about meditation and Anna’s teacher Dr Kumar, who was coming to London to run a two-day yoga workshop. 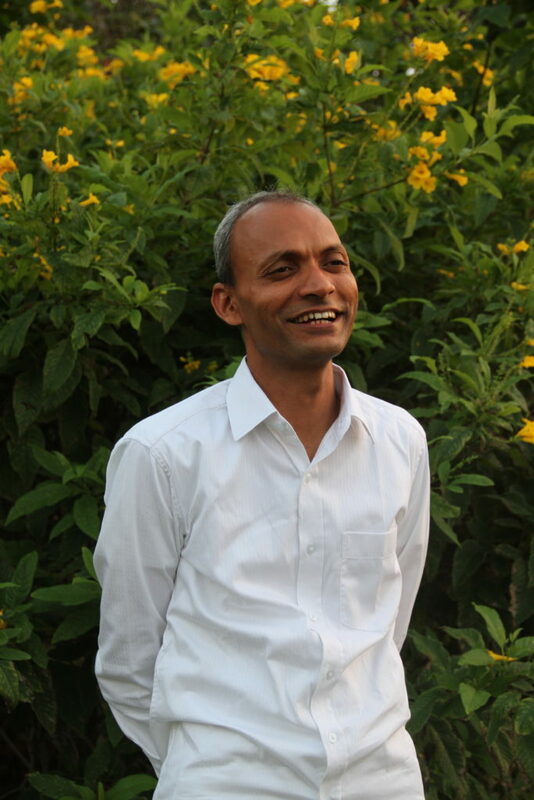 I attended the workshop and was so impressed by Dr Kumar’s wealth of knowledge and his genuine humility that I enrolled onto a silent meditation retreat with him in India in December 2011. There, I learnt and practised the Prana Samyama technique, and continued on my return home. It has changed over the course of the last five years. For the first three years, I meditated for one hour in the morning and another hour later in the day. This pattern eventually shifted to one daily two-hour session. I also attend Dr Kumar’s meditation retreats twice a year to strengthen and deepen my practice. What have been the benefits to you of practising this method? I have seen an evolution in my behaviour and personality. For example, I used to get angry and irritated about lots of things, even though I could keep these feelings under wraps most of the time. Now the intensity and frequency of getting annoyed has dramatically decreased. I also get over things more quickly because the triggers for my anger having substantially weakened. I’ve also become more compassionate, have a greater awareness about things and see situations from different perspectives so don’t jump to conclusions as quickly. I am also less restless and more patient. These changes in entrenched behaviour patterns have been enough of a motivation for me to persevere with my practice. It’s not been five years of bliss, light and no problems. But there’s been enough of a revolution in my personality for me to be committed to this technique. What obstacles – or challenges – have you had to overcome in your own practice? Restlessness. You may expect meditation to be a blissed out experience. While this can and does sometimes happen, it’s not all that frequent. This is when motivation and persistence is crucial. It can be hard when going through a protracted period of difficulty. But whatever a meditation session is like, I don’t judge the experience nor do I have expectations anymore. I just see my practice as something I have to do in the morning like having a shower or cleaning my teeth. I don’t overthink it or procrastinate, but see it as the driver for everything to work properly in my life – my relationships, my work… all that I do. What advice would you give to students encountering difficulties or doubts over this meditation method? If you’re experiencing difficulties, don’t give up. Challenges happen and are a normal part of the meditation journey. •	Share any difficulties about meditation with fellow meditators – chances are they’ve experienced the same problems and can help. With thanks to Traditional Yoga for the images. It’s always good in a crisis to find someone to blame. Then I laughed, picked myself up, wobbling like a floating astronaut, and was guided down to a place of (relative) safety. 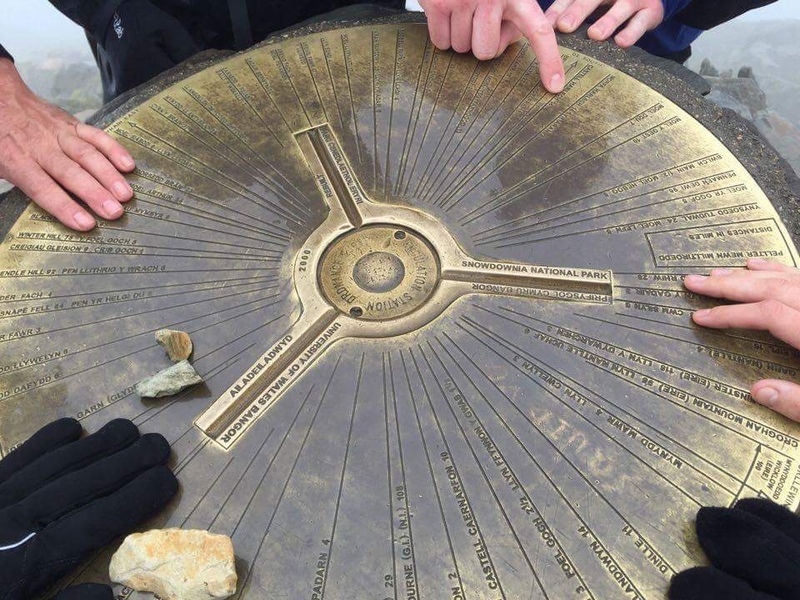 It was Karen’s idea to climb the UK’s three highest mountain peaks – Ben Nevis, Scafell Pike and Snowdon- in 24 hours. Most people opt for a party or weekend break for their 40th birthday ‘treat’ – but not this one. Myself and our mutual friend Clare were foolish (or brave?) enough to join her on this ‘Life Changing Challenges’ charity event. Our stroll began in earnest at 2.20pm on an unusually windy summer Saturday (even for Scotland). 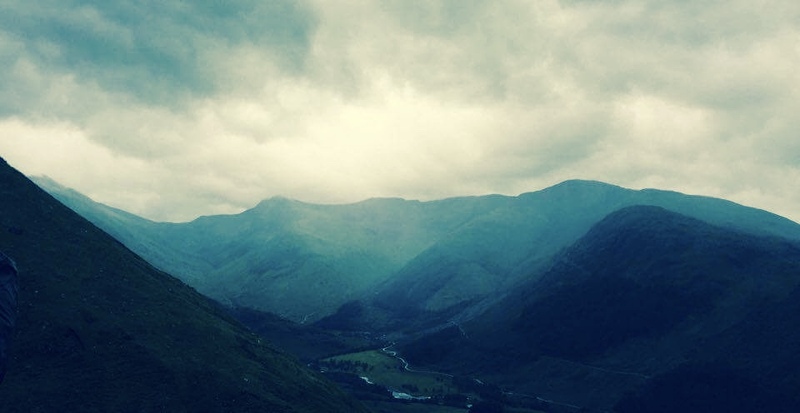 From here, we began the 1,345m-ascent of Ben Nevis. It began with us stripping off layers as we sweated under the heat of the sun (yes!). It ended with us attempting a ‘summit selfie’ in what weather forecasters would describe as poor visibility, with a woolly hat and 100 per cent waterproof hood not being sufficient cover (in August). 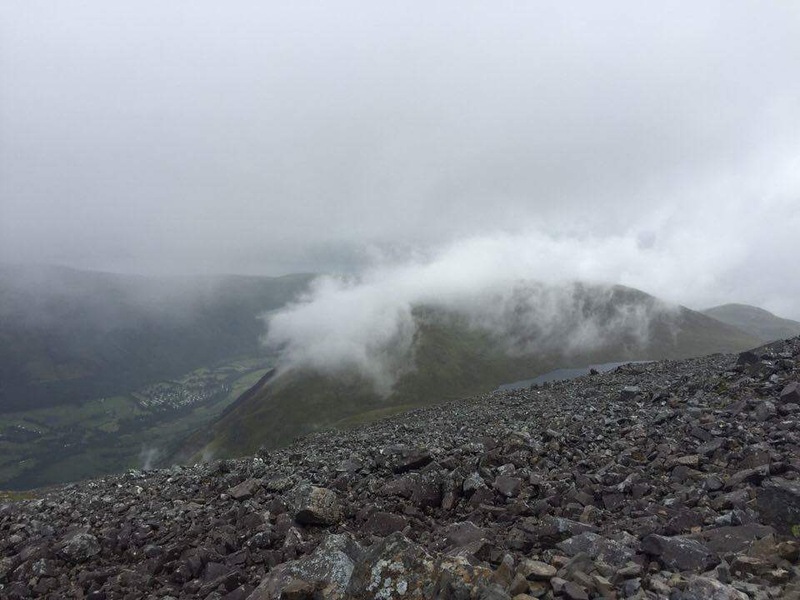 Scafell Pike – where’s the summit? Next up (after a short nap in transit on our minibus) was Scafell Pike (978m) in the Lake District. The place to be, it appeared by the crowds, at 3.20am on a Sunday morning. With rave lights, or rather head-torches, we set off up the stone steps and ascended the gravelly ground and rocks to reach the top around day-break. This was my bleakest mountain. I was close to tears on summiting. This was the result of a mixture of exhaustion and being left alone, unable to see the summit (an unusual occurrence on this challenge and rectified by local guides on the descent). Karen and I also grouped together from then on, despite months ago saying we’d all ‘do our own thing’. This made the experience much better. 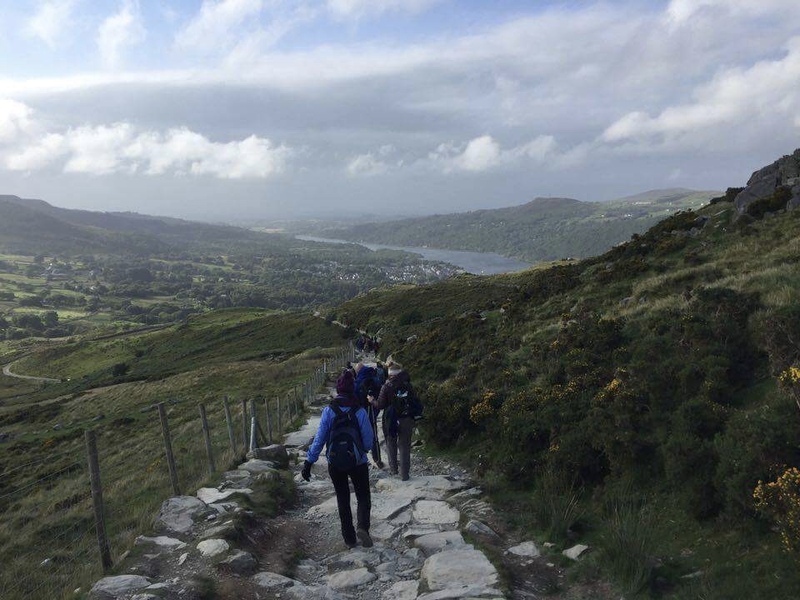 Snowdon – are we nearly there yet? This is a frequent question on this challenge to which our brilliant guide, Dave, always responded: ‘I don’t like to lie, so can’t answer that’. At least on Snowdon, last up (a mere 1,345m up, in fact), we knew the end was near if not in sight. This was the most attractive ascent, in my opinion, but that may be more due to the fact I could see the beautiful surroundings due to daylight combined with a bit of sun. It was a scramble to the top, quick photo ‘finish’ and then the long, misty ascent. Knees suffering (even with the aid of walking poles), we did it – and cracked open the fizz at the first opportunity! I finished in just over 25 hours, a proud achievement. It’s so British to go on about the weather, but that was my biggest challenge. I expected sleep deprivation to be the biggest problem. I didn’t expect brilliant sunshine, but you can’t anticipate that it will be Scotland’s windiest summer’s day since records began! It sounds pretty obvious but when you’re trying to press on and avoid the weather, it’s easy to forget to eat or drink. I failed to do so often enough, and I should know better as I used to be a long-distance runner. Eat or drink something small each hour. Choose food you like. I was lucky enough to have a friend bake a selection of yummy healthy snacks for me. See how to bake them on the other blog. 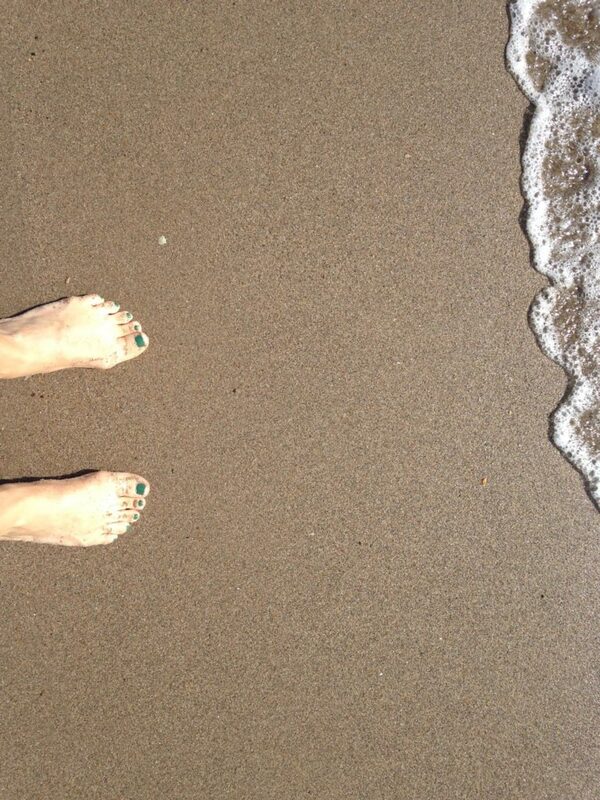 All you can do is put one foot in front of the other and repeat. And repeat. And again. It’s best not to think too much about far you have yet to go. When there’s a loo, use it. You never know when the next one is coming, and time is always of the essence. The same for tears/frustration – another emotional challenge will come soon enough so let this one go. If the willpower is faltering, it is your friends who will get you to the top. Agree to either post a Facebook/Twitter update after each summit, or use a WhatsApp group or SnapChat. The feedback from your friends will power you on. Similarly, put together some power anthems for those low points – if that’s your thing. One of the nicest things about doing this challenge is that our trio have been in constant contact for months. 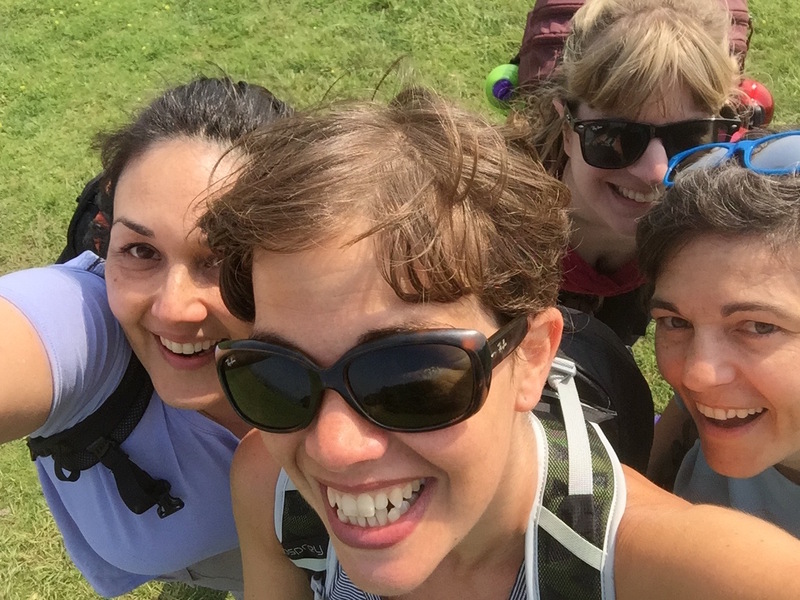 We all live in different parts of the UK but we’ve been chatting online about hopes and fears for the challenge, and also supporting each other in our everyday highs and lows. I probably won’t climb the equivalent of a marathon in 24 hours for my 40th but I’m glad I did it – and with these determined two friends. We raised £2,895 for our chosen charities, Mind, the Lullaby Trust and the Brain Tumour Charity. Fancy completing your own challenge? Check out Life Changing Challenges.